258th Judicial District Judge Elizabeth Coker was recused against her will. 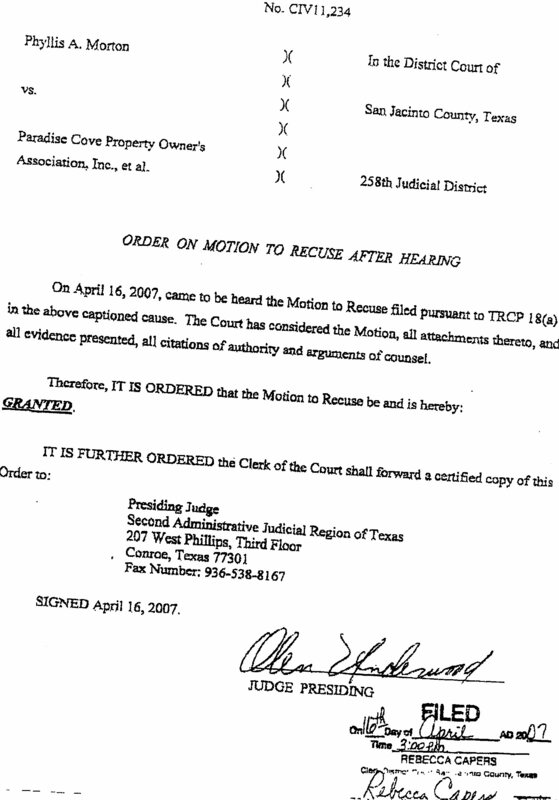 This entry was posted in News and politics and tagged 258 judicial district., Texas. Bookmark the permalink.